This page documents my change from a Sky+ HD subscription to a subscription-free Freesat setup so that it might be of use to anyone looking to do the same. If I need to upgrade to a larger size, replacing the hard drive in the HDR-1100S is possibly more straightforward than replacing it in a Sky box. Unfortunately there is no way to transfer recordings across but may be useful in the event of a hard drive failure. When you cancel your Sky subscription (I recommend the online live chat option) you need to give a month's notice - after this period, you cannot record even FTA channels or play back any existing programmes in your planner (unless you play Sky £10/mth). I had a lot of films recorded I either wanted to keep, or knew I wouldn't be able to watch before the planner was locked out. Thankfully, it is possible to retrieve some recordings from the Sky box (for programmes recorded on free-to-air channels) by using a cheap piece of software that can mount the proprietary filesystem. 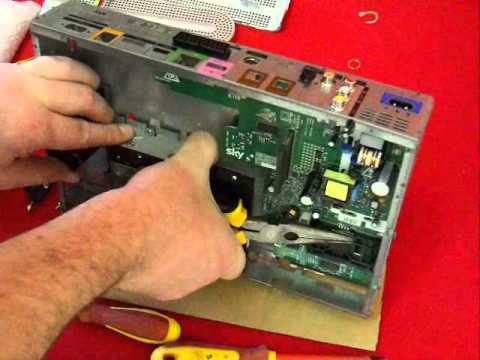 There are plenty of guides available on disassembling Sky boxes but I used the following one on YouTube (just watch out for the screw near the HDMI port he forgets to mention when taking out the main circuit board). If you have a USB SATA bridge you can save yourself some steps by keeping the drive and connecting to it inside the Sky box without completely dismantling it (which include some of the most annoying steps). I purchased the ExPVR software which let me mount the drive, copy across any unencrypted files from FTA channels and establish which programmes I would need to record in a more traditional method. It only costs £20 and there is a limited free version that will let you test the setup before you commit to a purchase - it's Windows only (I used Windows 8 x64), I unfortunately couldn't find any equivalent methods or software for Linux. The files it produces are MPEG2 files with .ts file extension. I found they wouldn't play completely smoothly on my Raspberry Pi 2 running Kodi/Raspbmc. Someone online mentioned renaming the extension to .mpeg would allow a PS3 to play these types of files but when I tried this it completely locked up my unit. Luckily, I discovered they play perfectly on the Humax HDR-1100S over USB (think the drive must be formatted FAT32 or ExFAT). After putting the Sky box back together, I still had a few programmes left to record. The box has a SCART port which outputs RGB so I picked up a nice individually screened SCART to SCART from Maplin for £2.70 (bought online but delivered to my local shop). Make sure the Sky box is set to out RGB and you might need to toggle the SCART Control setting. Importantly, I noticed that when I pressed the TV button on the Sky remote it would disable RGB output so be careful if you are using this to switch TV inputs while leaving something to record! The secret menu can be accessed by selecting System information from the Settings menu then pressing red, green, yellow, blue, green, yellow, blue. The volume seems to be a lot lower compared to Sky (both from composite and HDMI) which means I need to turn my amp up considerably. It can lead to pops when the audio is enabled/disabled when turning off the box or even when unpausing programmes. Seems to vary a lot between channels as well. If you used the Sky+ mobile app for the likes of remote recording, there is a Freesat equivalent for Android and iOS - it lets you remotely record programmes or if you are on the same network as your box, you can launch programmes from the TV guide or your planner. It also has a remote control function (if you phone has IR) which gives you cut-down controller. No experience with iOS version but the Android one seems to be bit flaky and needs closed and reopened if your box is in a different state from when you last used the app. If your phone has an IR blaster you can also the app as a remote control (though it is limited in buttons compared to the physical Humax remote). The only video outputs are HDMI and composite (no RGB or component). There's no way to to disable HDMI-CEC on the unit. For me this is annoying because I need HDMI-CEC for my Raspberry Pi but I previously used my Sky box quite frequently as a radio. Now if you change the channel to your favourite radio station and turn off the screen, it also turns off the unit. The skip buttons jump 2 minutes forward or 15 seconds back which can be very handy for skipping adverts instead of fastforwarding at 32x speed. My TV is a Samsung UE43KU6000 and though I did find a code to program the Humax remote to work with it, I have not found one that matches all the functions (such as up, down, left, right). More annoyingly, some of the buttons are mapped to weird things like setting the audio output delay to 80ms which is a pain if you accidentally leave the remote in TV mode.